About a month ago I had a spectacular idea. I knew I'd be heading home to visit my parents for Thanksgiving, and I thought it would be fun to have my mom () test out some of my favorite skincare products. Now, if you've been following me on Byrdie at all, you already know ) first rodeo in terms of playing the part of my personal skincare guinea pig. But in a slightly different vein, I thought it would be fascinating to foist some of the "anti-aging" products I use as a wrinkle-less 25-year-old on my beautiful (slightly more wrinkled) mom who will turn 71 in February. I'm fascinated by the market of age-pegged skincare, and while I know the majority of products I'm sent are designed as "preventative measures," I'm always curious as to whether or not they actually do anything. After all, and as I mentioned earlier, I don't really have any sags, bags, or lines to speak of, so when a product's description claims to transform any or all of the above skin symptoms, I don't have a lot to go on. Sure, I may like the way they feel on my skin, but what would they do to someone's skin who was born in the '40s versus the '90s? Wouldn't that angle be the ultimate test of efficacy? So I decided to ask my wonderful and very product-savvy mom to weigh in. What would she think of the peels, eye creams, serums, and masks that, while great for any skin type, are especially geared toward aging or vulnerable skin? There was one issue, though. In addition to the obvious difference in our age, my mom and I have very different skin types. She is blessed with the dewy, pearlescent, fairy-touched skin of an angel who's never seen a damaging ray of sun in her life, and I am blessed with the acne-prone, dull, sun-freckled skin of anyone but a fairy-touched angel. Therefore, as I surveyed my stock of products, I realized that even the items labeled "anti-aging" within my product repertoire were in some way geared to acneic and/or oily skin. In other words, most of the skincare I own is entirely unsuited for my mom's categorically "normal" skin type. 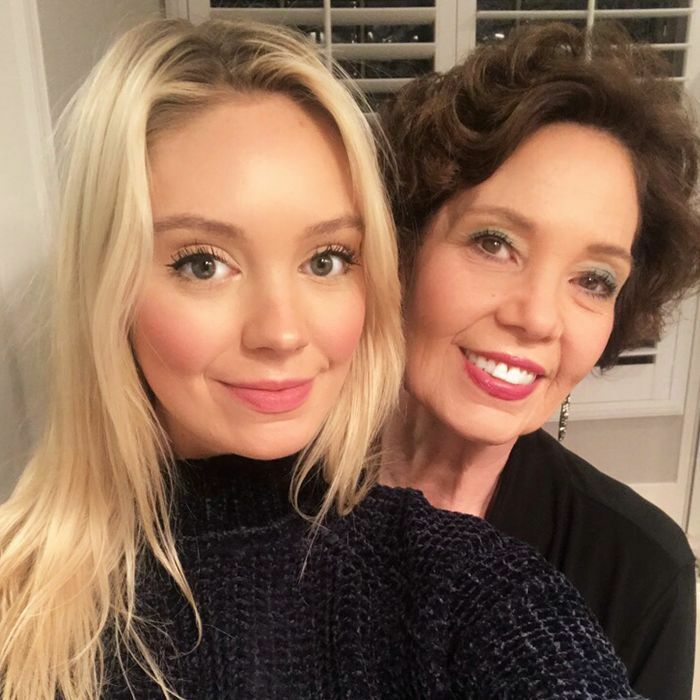 I'm always up for a challenge, though, and after inspecting all of my favorites further and doing even more digging, I came up with eight awesome skin picks perfect for my mom's skin type and her youth-enhancing goals. Now, the only challenge would be getting my mom to ditch her usual (very detailed) regimen of potions, serums, and lotions in favor of my top skin picks instead. Ahead, her honest thoughts on the eight anti-aging skincare products I gave her to try during the week I was home for Thanksgiving. Though my mom is well-versed in the realm of exfoliating cleansers and devices (she lives and dies by her Clarisonic), she's never tried any type of at-home or in-office peel. As I mentioned, she and I have very different skin types (my propensity for breakouts and clogged pores makes regular exfoliation a necessity), but Renée Rouleau's gentle formula is the ultimate for giving any type of skin a fresh start—nixing any undetected dead surface cells along the way. This peel makes you glow like crazy—which I knew my mom would love—and . I'd peg my mom as a skincare according to Rouleau's skin-type spectrum, and since this product was included in the product recommendations for that type, I thought it'd be a good place to start. "I love the cool, sort-of-refreshing, sort-of-tingling feeling of this," my mom told me as she began applying it to her freshly cleansed face. "And the raspberry scent is also wonderful. It kind of feels like when you first walk outside on a cool autumn day but with the summer scent of the berries." Not surprisingly, after leaving the peel on for about 10 minutes and thoroughly rinsing it off, my mom was completely won over. "Oh, I would love to do it again! How do I describe this?! My skin just feels so soft and alive now." Mission accomplished. I pretty much think Rouleau's aforementioned Triple Berry formula and these gentle yet effective buffing beads make for a must-have duo. Even though the peel does an exceptional job of clearing pores and revealing a radiant, freshly exfoliated complexion, the gentle jojoba beads in this elixir are like mini cherries on top your routine for a completely flawless and thorough skin-cleaning. 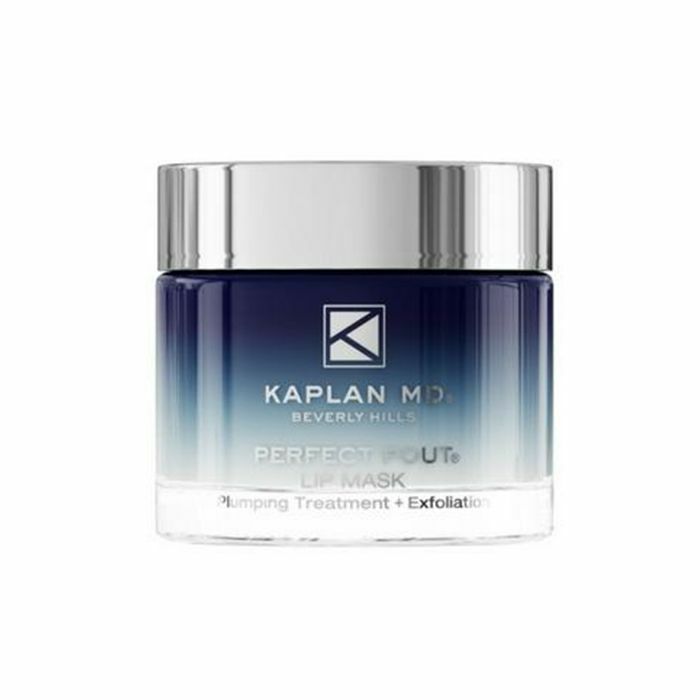 It has a luxe and creamy consistency, and massaging it into the skin post-peel gets rid of any last trace of product or dead skin while prepping pores for whatever else you plan to put on your skin. Plus, unlike most exfoliators, it never strips the skin or leaves it feeling dry, which I knew my mom would love. "Since I'm not used to exfoliating my skin, this product probably felt tinglier than it would have otherwise, but it was a satisfying tingle, and I felt like it was really doing something. I didn't know it was possible, but my skin felt even smoother than it did after the peel—as smooth as satin and like it had been completely detoxified. I'm not used to my older skin feeling this way!" 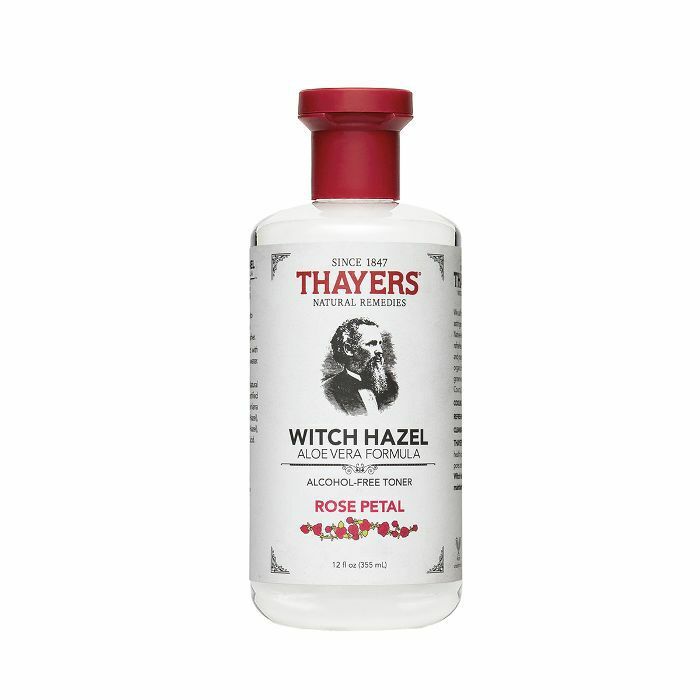 "'I've actually used and sworn by the powers of witch hazel for as long as I can remember. I've always loved the soothing feeling of it, but this toner is especially lovely thanks to the delicate scent and the satisfying feeling of getting every last bit of any residual product or residue off my face," my mom told me as she swept this cult-loved mixture of aloe, rose, and witch hazel all over her complexion. "I've been using this toner for a week now, and I honestly think it helped minimize my pores while simultaneously improving the tone and tautness of my face. I also have to appreciate the budget-friendly price tag and its availability compared to some of my other pricier skincare staples." 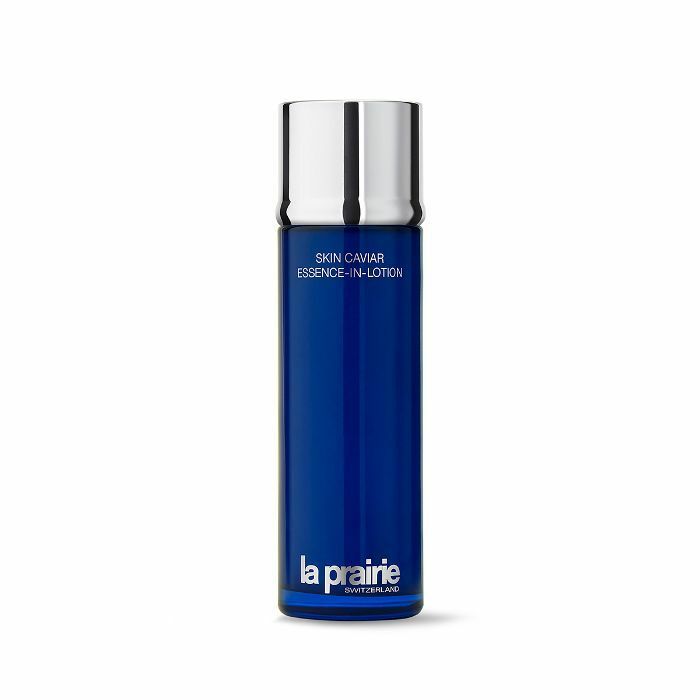 It doesn't get much more luxurious than La Prairie, so I couldn't have been more excited to share one of my favorites from the brand's Caviar line with my mom. Essentially, this hydrating elixir is a primer for serums, enhancing the skin-improving powers of anything you apply afterward. I'm obsessed, and I was pretty sure my mom would be too. "I normally don't like fragrances, but this one has a really lovely light scent, and the formula feels exceptionally soothing and calming on the skin," she said. "After using it regularly now for a few days, I already look forward to putting it on as part of both my morning and evening routines before my other serums, moisturizers, eye creams, etc. I've definitely noticed that it's also increased the firmness of my skin—which is a lot to say considering how many products I've tried that are all talk and no walk when it comes to anti-aging benefits." I'll just say it. 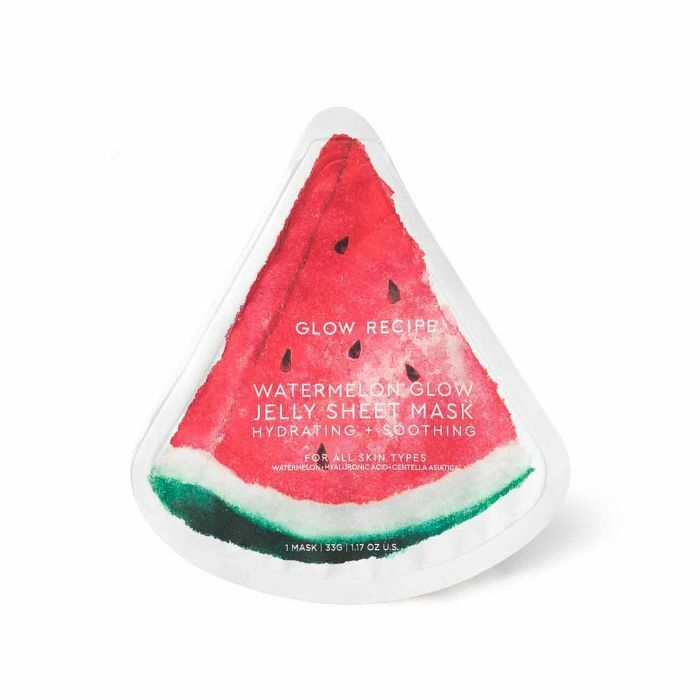 I'm obsessed with all things Glow Recipe, and this travel-friendly sheet mask has become my saving-grace hydration antidote whenever I travel. It's intensely nourishing and radiance-enhancing. Your skin truly shimmers post-treatment. Since I had a few extras sitting in the bottom of my carry-on, I had to have my mom (who's notoriously picky when it comes to masks and serums) try it out for review. Spoiler: It was her favorite product by a long shot, and she's already hounding me for how often she can apply it and where she can get it—$8 at Sephora, Ma! "This mask makes me feel like I'm bathing in some kind of a delicious gel-like liquid (and I mean that in a good way). This was the perfect hydrating and soothing thing to put on my face after the different steps of exfoliation we did prior, and it really drenched my skin in what felt like nourishing and healthy ingredients," she gushed. "I'm not sure if my skin has ever felt so moisturized, and I also appreciate the grip of this jelly-like mask versus the frustrating slip factor of so many other single-packed sheet masks. My skin feels relaxed—like it's going ahhh and thanking me. This mask is like diving into a shimmering pool of refreshing water. When can I use it again?" My mom is so picky when it comes to SPF, and pretty much every time I come to Arizona to visit, I foist new formulas on her. The latest? 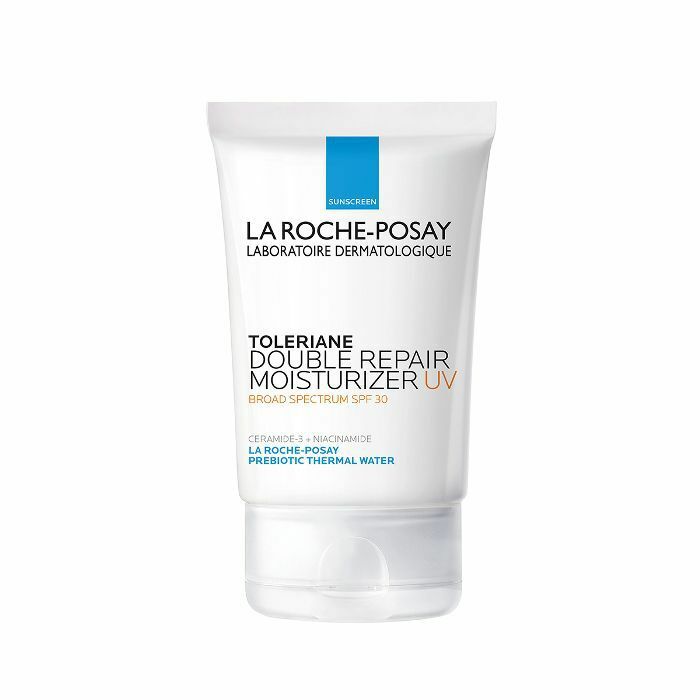 This multitasking saving grace I personally love from iconic drugstore brand La Roche-Posay. It's lightweight (which I know is paramount for my mom since she likes to apply SPF pre-makeup) while also driving in moisture and a dose of sun protection. "Unlike a lot of sunscreens, this one really does double duty because it's a wonderful moisturizer as well as an effective sun protector," she noted. "Since my skin has gotten drier as I've gotten older, I really love this formula because it feels extremely hydrating on the skin and gives my skin some extra glow before I put my makeup on." Unlike my mom, who doesn't harbor much care or affection for eye creams and eye masks, . 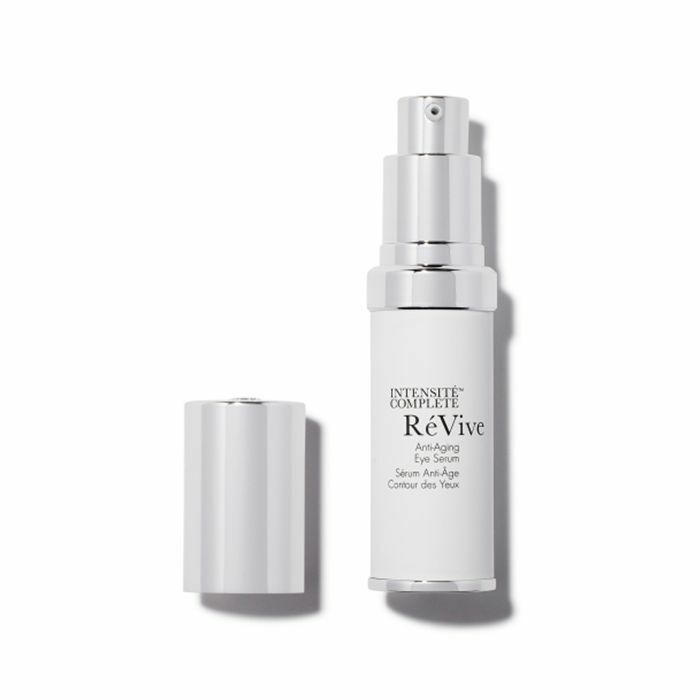 This is my latest love (it's so brightening, tightening, and all-around miracle-working), and since it's pegged with an anti-aging angle, I was curious to get her thoughts as someone 45 years my senior. It's an investment, but if you're looking for an A+ bang-up eye cream, you've found your match. "I don't do as much with eye creams as I know I should, so using this slightly opalescent eye cream really felt like I was pampering and soothing the delicate skin around my eyes," she said. "My biggest grievances about my under-eyes are my bags and 'troughs,' and I definitely noticed that this formula instantly brightened the look of my eye area, which kind of created an optical illusion around my puffs and bags, instantly shrinking them. With long-term use, I think this would also help shrivel my fine lines becausee it seemed to have an immediate tightening effect where my crow's-feet are. ICYMI, from Kaplan MD with pushing back a lip-filler appointment. In a nutshell, it's the most important and addicting lip product I've ever tried, and I love it for its plumping, hydrating, and all-around pout-transforming benefits. Obviously, I had to slather it on my mom's lips too. "I never do anything except for putting lip balm on my lips, so I feel like my lips are just drinking this lip mask up and appreciating the extra hit of hydration. Unlike Erin, I typically steer clear of lip-plumping products just because my lips are naturally pretty full and I don't like the tingle and burn that's associated with most plumping formulas. This, however, is so different! My lips look really pretty and rosy—like it boosted my ciruclation—and feel really comfortable. It wasn't too tingly at all and felt like a quality and gentle conditioning treatment," she said. Next, read about the time to nix his scales and flakes.